Rumors continue to swirl about what exactly will be announced at JetBlue’s employee meeting on April 10, but many are speculating that the airline will finally announce long-expected new service across the Atlantic. While people ponder what’s to come, JetBlue’s lawyers have been working furiously, pounding on the US Department of Transportation (DOT) to force open some room at London/Heathrow and other slot-constrained airports in Europe. Its latest target is the Virgin Atlantic acquisition of Flybe. It’s no surprise that JetBlue would want to gain access to Heathrow. After all, time and time again it’s been proven that business travelers want access to primary airports. Heathrow is obviously the big prize despite there being many alternate airports, but it’s not alone. Amsterdam is also an important destination in range of the A321LR from Boston and New York. It’s one that has no alternate…and according to JetBlue, no room. In JetBlue’s mind, there is an opportunity to pry free some slots by getting aggressive in fighting against the big three joint ventures, or at least two of them. The opportunity presented itself when two of the Transatlantic joint ventures opened themselves up for scrutiny in order to expand. American British Airways, Iberia, and Finnair are looking to bring Aer Lingus into their joint venture. Meanwhile, Delta is looking to combine its two joint ventures, one with Virgin Atlantic and the other with Air France/KLM (and for now, Alitalia). At Heathrow, British Airways controlled 45 percent of slots at Heathrow when its joint venture with American was approved. Since then, it has merged with Iberia to form IAG, a company that then acquired Aer Lingus. It also took a bunch of bmi’s slots. Meanwhile American was acquired by US Airways. Slots were consolidated dramatically and the American/BA joint venture now controls just shy of 60 percent of slots at the airport. Separately, Delta/Virgin Atlantic/Air France/KLM control 8 percent of slots, but 24 percent of operations between the US and Heathrow. JetBlue has tried to have the two dockets combined into a single review. It has also tried to force a more thorough review that would effectively start from scratch. This would greatly increase the scrutiny over whether these joint ventures are causing any competitive harm and whether they should have to give up slots to continue to work together. The joint ventures argue that there is huge consumer benefit, and there is, but that doesn’t mean there can’t also be remedies. 3) a meaningful and enforceable prohibition on any of the Applicants engaging in exclusionary conduct (i.e., efforts to prevent any other Applicant from entering into or maintaining codeshare, interline, frequent flyer, and other types of cooperative arrangements with third-party carriers). This would include, but not be limited to, prohibiting exclusivity provisions in the Applicants’ alliance agreements. The first point is a tough sell for airlines that want to really focus on long-term planning. A five year horizon makes that difficult, especially since it’s a process that can be at the whim of political winds at any given time. I might be able to understand a 10-year period, but even that is a tough sell. The third point I think would be welcomed by everyone except for those in the joint ventures themselves who are trying to block competition. That’s a sensible rule that should allow Aer Lingus, for example, to continue working with JetBlue for feed in cities like Boston and New York where American can’t help much. If it makes sense for one member of the joint venture to stray for a specific purpose, then that shouldn’t be prevented by contract. But it’s the second point that’s going to be more controversial. JetBlue isn’t hiding its motivations here in wanting to free up slots. JetBlue is one of very few (if any) carriers that is not a party to an alliance but is a potential new entrant, positioned to pose a competitive alternative to the “big three” immunized alliances in transatlantic markets. JetBlue’s interest in this proceeding is not hypothetical. It will make a decision about whether to initiate transatlantic service this year. However, it has been advised that it cannot obtain slots at [Heathrow] or [Amsterdam] in the foreseeable future. This is a bold effort to try to get something for free that it could get on the open market, at least in London. Slots at Heathrow are available all the time… but for a hefty price tag. When JetBlue says it can’t get slots, I assume that it means it can’t get slots for a price that makes sense for the airline. I will say, it does make a compelling argument, especially as it relates to the Virgin Atlantic/Flybe deal. When Virgin Atlantic (with partners) rescued Flybe from imminent doom earlier this year, it ended up controlling Flybe’s 12 Heathrow slots (in addition to slots at other constrained airports on the Continent). These slots are currently used for flights within the UK, but they can be used to go anywhere in Europe. If the joint ventures combine to form one big Delta/Virgin Atlantic/Air France/KLM group, then these slots could be used to fly Heathrow to Paris while Air France’s slots could then be used to fly over the Atlantic. This would get rid of the original point of requiring those slots to be used within the UK and just further help consolidate market power to the US by a group that already controls a quarter of the market. Even more concerning is that Delta and friends have been granted remedy slots in the past because they had access issues in the early days of open skies. Now that they are aligned with Virgin Atlantic and have acquired more slots, should they really continue to have access to those slots that were meant to be given to new entrants? JetBlue says they should be revoked and given to true new entrants… like itself. I can’t say I blame JetBlue for trying to go this route, and the effort certainly seems worth a fight. There is a case to be made that slots that were originally meant to remedy the access issue should stick with a carrier that really is having an access problem. I eagerly wait to see if the government decides to take this into account as it decides on these two dockets. You can follow along with the Delta/Virgin Atlantic/Air France/KLM saga here. Here’s the link for the American/IAG docket. B6 can go to LGW like others have had to do over the years. Can they get on and off the ground at LCY? That would be a differentiator. Not with a 321. But a 220 it’s possible, although they’d still need a fuel stop westbound. But if they combine that with pre-clearance like BA do then they’d definitely fill a niche. I live in London and can’t understand the obsession with Heathrow from passengers nor from airlines other than those with a network to feed long haul. My understanding is, that Heathrow is located in the wealthier South-West London/ M4 Corridor suburbs where many of the wealthier, frequent business passengers are based. Why would they want to travel all the way across/ around London to one of the other airports? Plus the frequency of flights available to business destinations make LGW an inferior competitor. Isn’t LHR a lot closer to the CBD than LGW? IIRC, LHR is inside M25 while LGW is not. Thanks for the Monty Python graphic! So B6 wants help with a government that can’t even divorce itself from Brexit? Delta paid Croatia Airlines $19.5 million for a 5x weekly late-morning slot that excludes Monday and Friday service London Heathrow. B6 has boatloads of slots at JFK find some airlines that would like to try to serve the US vs the UK. There has to be at least a couple out there. To me, it seems slot restricted airports give up way too much potential funding for investing in the airport. Most public airports just allocate them, and LHR sold them. I’d like to see 10 year leases with 10% up each year. Auction them off and allows new entrants to come in on a regular basis, as a new entrants should be willing to pay more for a slot than an established carrier to keep a more marginal route. Agreed. I think something like this would probably be one of the more economically efficient ways of doing things, and the powers that be could get a little fancy in the design of the auction format, like what the FCC did when it auctioned the wireless spectrum off. Governments could even use the money to build additional airport capacity, public transport to/from the airports, or to subsidize airport user fees at less slot-constrained airports in the same metro area, like LGW. As much as Joe Traveler and the airlines might hate to hear it, fees to airlines and tickets for travelers during primetime to slot-constrained airports SHOULD be really expensive. Let the airlines (and travelers) with deep pockets pay for a commodity in high demand, nudging more price-sensitive travelers, like many leisure travelers, to less convenient airports. Firstly, LHR does have slots free up all the time (albeit at antisocial times for Transatlantic travel); it correctly allocates these to airlines that offer incremental service to new destinations e.g. in Asia (as opposed to BOS and JFK – which already have 4 airlines operating multiple flights per day). So why should LHR help JetBlue in particular, when there is a perfectly competitive open market for slots if they want them? Oman Air bought a couple of peak time slots from SAS for $75m in 2016 – that’s about the going rate. SAS is selling a couple more this summer. SQ bought some from SA a few years ago. BA and VS quietly hoover up slots from small carriers all the time. Heck, if JetBlue is BFFs with Aer Lingus, why doesn’t it lease slots from them? Slots aside can we talk about the market? I know London is a massive market, but isn’t the NYC-LON market pretty cheap generally? West Coast to London is expensive as hell, so a B6 1 stop could be worth it. But I am guessing the business traveler who does NYC-LON all th time is already invested in an airline with an alliance, frequency, and IROPS support. If B6 buys slots that fine more competition is good. But I don’t think it’s going to be this game changer for prices from the US to the UK market, unless they somehow get just a stupid number of slots. They would be flying narrow-body planes to a market that from NYC has 20+ wide-bodies per day. Is it expensive? I would say so, for everything bar economy tickets bought ex-LHR or miles in advance, and if you manage to catch a sale deal. Particularly as JetBlue’s biggest disruption in T-Con market was with Mint, the business class fares are what they will want to target. If you want a business class seat on a non-stop flight in the next 10 days its over 6k GBP, 8k USD. In comparison New York – LAX in lie-flat seats is between 55-70% of that. There is scope for JetBlue to price at 2.2k-2.5USD if they want to. Domestically, especially out of JFK and BOS, B6 has the capacity to disrupt the market with Mint. But JFK to LHR, AA, BA, DL, VS, UA run 747’s 777, 767’s A340, A330’s. All with far more than 16 flatbed seats. Even if B6 gets the 6 slot pairs JFK/LHR, that’s 96 mint seats daily. On 1 BA 747 there are 14 First class and 70 Business class seats. B6’s entire schedule would be the equivalent of BA adding 1 flight. I don’t really understand this fight. Heathrow is vitally important IF the goal is connecting service. But if B6 doesn’t have connecting partners that already serve Heathrow, then what is the point? If I am flying to London, and not connecting, then the last place I want to fly into is Heathrow. Gatwick is a much more pleasant experience, IMO. A lot of it is just flyers having it in their heads that “airport X is just so much more convenient”, like New Yorkers swearing fealty to LGA even though on public transportation it’s faster and easier to get to JFK from much of Manhattan. Heathrow Express (and whatever Heathrow Connect is called now) give a bit of a time advantage in getting to the business districts, but it’s really not that huge of a difference. I’ve only used LHR in the past, but I’m planning a trip for next year (was planning it for this year, but that didn’t happen) and would happily fly into Gatwick. Many years ago, I flew into Gatwick and was pleasantly surprised by how easy the Gatwick Express train was to get from the airport right into the heart of London. LGW, a.k.a. the busiest single-runway airport in the world, is full as well. LTN access to London has improved greatly over the years and they are jumping on the couch like Tom Cruise to get Transatlantic flights in. Perhaps B6 can become BFF with U2 to provide some feeding options. Well, this timing is so succinct with B6 wanting to enter lhr. This may very well award JetBlue with some decent slots. open market …. that’s wishful thinking. The prime morning arrival slots are basically out of the question ….. for *any* price. The noon or 8pm landing slot from east coast are for bargain hunters. Then B6 might as well save money and do Gatwick. if I’m reading B6’s tea leaves correctly, their intention is to first launch BOS-Europe then followed closely JFK-Europe. BOS-LHR/AMS/CDG, plus of course BOS-DUB (whether this can actually carry over to JFK is another story), JFK probably starts with something like JFK-LHR/AMS. From some of their DOT docket filings, it seems B6 has already laser pin-pointed Amsterdam as the market most ripe for *their* disruption, even more so than Dublin. The demise of WOW finally gave B6 an once in a lifetime opening to jump in before it’s too late. BOS-SNN could potentially be in the cards if BOS-DUB actually performs. But nothing crazy like BOS-ORK. Anything from MCO or FLL to Europe is waaaaaaaaaaay far down the road. B6 doesn’t have the ETOPS authority or aircraft to fly routes to Europe – so it is doing nothing more than telegraphing its intentions to its competitors years in advance. There will be no favorable outcome as long as B6 demands slots so they can make the decision whether to start service to Europe. Get the planes and ETOPS and all international authority and THEN start asking for slots. No government is going to pay attention to any airline that can’t use slots until years ahead. Your right on track of your 99% of B6 negativity. Aircraft are on order, the newLR is just a conversion while it comes off the assembly line. Plans are coming, etops is underway. This is the last piece to the puzzle, and if they get them it may take another year. But of course your vast airline exec experience should know this. ? and all you cite is a technical response. B6, at it is core, built a business model around large highly competitive markets and then lashes out at competitors when B6′ margins fall. NK has industry leading costs. B6 has none of those. Warren the great investor calls those all moats. Those airlines have become leaders in the industry because they have figured out how to build their businesses around moats- strategic advantages which no other airline can duplicate. Any airline can order A321NEO XLR. There is no seat in the commercial airline industry that competitors can’t large duplicate. B6 CHOSE to build its business market around BOS, NYC and FLL, highly competitive markets that other airlines really do care about. B6 CHOSE to build its network around the most competitive markets which have had plenty of capacity for other airlines to build a competitive presence. B6 CHOSE to create codeshares with dozens of foreign airlines and then bid on US government contracts. B6 FAILED to realize there is nothing about what they have done or can do that other larger airlines which have deeper pockets and greater market share can duplicate. It is not the government or anyone else’s responsibility to bail B6 out of its own failure to build a business model that created some sort of advantage. It is not the government’s responsibility to give B6 slots for new services which B6 THINKS they now need to remain relevant. If B6 wants to fly to Europe, they will have to go through the same process to get there that other airlines including opening their checkbooks. And then run the risk that the investment might not work out. given that B6 chose to unilaterally take away profit sharing in order to fund the salary increases which their employees thought they were getting in good faith, I doubt if B6 will honestly figure out how to successfully navigate getting to Europe. But they can argue that everyone else is the reason they can’t succeed rather than admit their business model was flawed from Day One. I am simply highlighting the facts that some here struggle to understand. The market was deregulated for all airlines. Just because B6 was given slots at JFK to get started doesn’t mean it will happen again – either in the US or to Europe. Uhm, relax Tim, your despair on trying to highlight B6 as a failed model, isn’t looking good against the reality of the outcome. They never furloughed or went into bankruptcy, let’s just start with that against the major 3. The “moat” you talk about was created all via ch11 bankruptcy, a program that the fed allows the airline to null and void their funding obligations. So you talk about “hand out” B6 is asking (which they are not, just a review of JV) they funded everything on their own till now. The majors also used ch11 in order to build a case for mergers, so they strengthens their “moat” by simply acquiring another airline, vs the genius of the plan you speak of. They “CHOSE” the competitive markets cause they know that’s where you can capture more premium fares which allows higher revenues. You keep comparing the fortress hubs of all the majors, well where were they in size and scope when they were under 20 years old like B6? Come on man, they have been working on that “moat” you speak of, but how can they do it at the scale of the majors have without a merger or ch11 they benefited from? Think about your points you make with the facts in play rather than looking like a delta fanboy making desperate cries of how great they are when they have has ENORMOUS help from feds via ch11 and mergers. I am perfectly relaxed. You are worked up trying to compare what happened anywhere from 10-70 years ago long before the jet age. It really doesn’t matter one iota to the current situation whether legacy carriers filed for Chapter 11 or not. It also doesn’t matter what Delta was in the 1940s at the same age B6 is now. B6 is competing in the consolidated airline industry of today and its solutions have to be based on that. In 20 years, B6 started as a high quality leisure focused airline in large industry markets including NYC. Then, because legacy carriers managed to duplicate what B6 did in the coach cabin (or passengers decided that an extra inch of two of legroom wasn’t worth the loyalty that B6 thought they would get), B6 turned to the discounted premium transcon market. The legacy carriers have all figured out how to match B6 step in that process so now B6 is apparently on the verge of announcing flights to Europe because, wait, wait, they think they can do something the legacy carriers can’t. The lack of strategic consistency on B6 part is why they are so vulnerable. 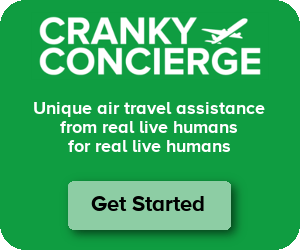 They haven’t come up with ANY key element of their business model that other airlines can’t duplicate. They have no hubs which they dominate to the extent of any other legacy or low cost carrier. They keep thinking they can offer something new and cheaper in the same highly competitive markets that everyone else can and is serving. B6′ margins have fallen as they become a more mature company. Their on-time performance continues to be at the bottom of the industry because they refuse to dedicate spare aircraft and crews to keep the operation as close to schedule despite flying in/out of the most delay prone airports in the US. They told their employees they would give pay raises and then took away their profit sharing so now have lots of unhappy people. JetBlue’s core business model from the start was flawed and they keep looking for ways to tinker with and fix it and yet nips and tucks won’t work. B6 fundamentally has a business model that is without the barriers to entry that every other airline in the US has and lack the size to succeed against much larger competitors. B6 likely will continue to play with its model but it fundamentally cannot fix what was flawed from the start. And those flaws, whether you want to admit it or not, are becoming increasingly apparent even as B6 tries yet one more twist on what it thinks it can do better and cheaper than other carriers but in reality will only make them less and less profitable. Hopefully CF will keep the discussion about B6 alive. JBLU stock is down 10% this year and even more over the past six months. The fact that Wall Street analysts are cutting their estimates for JBLU stock says there is a big disconnect between what B6 thinks will happen in the future and what the rest of the world (at least the part that invests in JBLU stock) sees. why are you including UA ORD in that list ? AA ORD is only slightly smaller than UA ORD in total pax numbers, and if my senile memory still serves me, neither is over 50%. Sure, 500+ departures is nothing to sneeze at, but neither gets the type of pricing leverage one observes at truly fortress hubs (there’s another 200+ flt dept mini-hub at WN runs out of MDW). Hence why DL announced BOS-LGW this week….DL telegraphing its move back to B6. Who knows if Delta will actually launch the route but it has, at a minimum, made it a lot harder for jetBlue to make any inroads since DL/VS will hoover up a lot of the LGW demand now taken by DY on both sides. Historically several have tried, and failed (Laker, Silverjet, Eos. . .). They were not serving LHR, and did not have a strong customer base like B6. Maybe it will work this time. The hypocrisy is that B6 is the second largest slot holder at JFK and has accumulated slots at both LGA and DCA because of competition concerns from other mergers. Yes, mergers. The governments on either side of the ocean have never simply said that airlines have had too much access to any airport so they have opened up slots to newcomers. The only slots that have been given to newcomers outside of slot trades or mergers has been at DCA where new slots have been created for new entrants in markets where no service existed. When B6 is willing to give up its own slots in order to let newcomers in, then maybe they will be taken seriously. With few exceptions, nobody that operates at any of the major European airports got all of their slots for free but have built them up over time through mergers, acquisitions, and slot purchases where those are allowed. B6 is free to acquire its slots the very same way. New DCA slots weren’t “created” for new entrants, at least recently. A few outside perimeter slots were but that has been more than a few years. The WN and B6 slots (AirTran/WN merger excepted) came from the US/DL slot swap and then the AA/US merger. Correct me if i’m wrong but I think no new slots at DCA for quite a while..
Those are exactly the instances I am talking about. The beyond perimeter slots at DCA were created for new service. The slots B6 benefitted from at DCA are the result of the AA/B6 merger. B6 itself was given slots at JFK to begin service at the outset. Nowhere since has anything comparable taken place and it won’t be repeated because there are no slots to be created. Slots don’t exist because a new airline wants to add competition. They exist in order to match capacity with an operationally achievable schedule. Even in the recent EWR slots case where slot controls were relaxed, it was because UA was not sufficiently using slots. That doesn’t exist at LHR, AMS, or any other major airport in Europe. The root of B6′ problem is that they started out as a high-quality leisure airline in large markets and thrived because the legacy carriers did not have the financial resources to defend their markets. Some of those airlines – esp. Delta – now really do care a whole lot about Boston and New York and Delta also happens to be the largest transatlantic airline at JFK and BOS as well as the largest US airline at both Amsterdam and Paris. Deregulation of the domestic market first and then of international markets did not require any airline to stand in the corner with its hands tied behind its back while competitors grew. Unlike WN which has a very long track record of financial success because it built its largest markets around airports where other carriers could not or did not grow to comparable size, B6 is now paying the price for going head to head in one market scope after another where big legacy carriers have not thrown in the towel. One more note on Mint – which so many are quick to tout as the key to B6′ success. Virgin America pioneered the modern concept of discounted high quality transcon premium travel; Alaska has walked away from that concept, handing scores of passengers per day to AA, DL and B6. UA walked away from JFK and now regrets it. AA uses an aircraft type for its premium transcon service for which it has no additional frames nor has it shown any interest in expanding the concept – so their share of the market continues to decline. None of that is going to take place in the transatlantic market. Legacy carriers on both sides of the Atlantic use large aircraft operating many times per day. They have sophisticated revenue management. The notion that B6 is going to upset the transatlantic market as they did in the transcon markets is flawed based on thinking that the competitive transcon environment will be repeated. It won’t. So this “sophisticated revenue” management on,y exist at major airlines? Are you serious? Narrow bodies don’t work? Look how many 757’s your precious delta flies across the ocean. Continental flew copious 757’s to Europe and it shook up the transatlantic market since they were the true first ones to venture in transatlantic with a narrow body. PanAm flew 707’s for decades, 3×3 seating and many other legacy airlines at that time flew it. Just like a A321. Also B6 is using the space flex cabin to give it a wide body feel. Jfk/bos to lax/Sfo is about the same distance and guess what, United and your precious delta threw in copious widebodies on the route to compete, and B6 is still killing it. So your hyperbole drivel is based on your brownosing for your delta fandom. This industry always gets shaken up with new competi. If delta is so great, why are they losing their shirts in Boston. ? Tell us how many 757s Delta is flying across the Atlantic today since you brought up the issue. Then tell us how many widebodies Delta is flying. Do the same exercise for AA, BA, AF/KL and LH and UA. and, no, CO did not start transatlantic 757 service. They just didn’t. And CO also got bought by UA which has replaced many of those 757s with 767s. Why do you think they did that. No, a 707 in a pre-767/330 world is not just like an A321NEO. not even close but you are welcome to believe it is. and, again, tell me what airlines are going to walk away from the transatlantic market when B6 shows up. UA said it was a mistake to walk away from JFK – but they did AS said they aren’t playing in the premium lie-flat transcon market. . AA has no additional A321Ts to grow its presence in the transcon market so is ceding share to DL and B6 as the market grows. B6 is hoping the same thing will happen to Europe that a few – but nowhere near ALL of its competitors did to the west coast. Came here to say this- don’t forget the mess in LGB. How long did B6 sit on those slots before the government finally said use them or lose them? They way I see it is B6 doesn’t want to PAY for the slots because a couple of A321’s a day won’t pay for them. They have no widebodies. If this strategy fails then its LGW or STN for them. Maybe LTN but I’m not sure about runway length/range at LTN. So B6 is trying to “sue” for some slots at LHR. If they pull it off, good for them, if they don’t….off to the alternates. And unless they flew it 10x daily flying narrow body planes won’t make a dent in pricing or capacity. They want to be let into the club without paying the cover charge. Wouldn’t it be like more like going to the club using Groupon to pay the cover charge but not ordering any drinks? Sorry for coming to this late but I have two big question. When you say “Free Slots” do you mean the slots are to be given up for free or that the courts could order them to be sold but an inconvenient date, ie a fire sale price? If the joint ventures are forced to give up slots can’t any airline that meets criteria buy them, or would it be limited to the New York London market ? If slots are freed up I find it difficult to believe that B6 would be the only airline trying to pry slots away. Patrick – Who knows? This is just JetBlue hammering at the DOT to provide relief. There is no concrete proposal that I’m aware of. IMHO the 10 April Mega Event is just a dog & pony show aimed at appeasing investors. B6 mgmt is under pressure to so something…..ANYTHING…to boost the ROI for institutional investors. I agree that the wisdom of smoke signaling your intentions to the compention is questionable. But it may buy time for management to fine tune the transmission before the Money folks give up and start shopping the car out to collectors. So full disclosure I am a JetBlue fan but you are wrong on the April 10th event. At the 2019 JP Morgan investors conference one of the investing analysts asked if he would getting an (invitation to the event) only in a more round about way. The response by management was that it was a team members only event. You may be right about them being held hostage by ROI, but April 10 sounds like it will be a pro-employees event. There’s been a lot of back and forth in the comments on this topic, but there’s one thing I think everyone needs to keep in mind. JetBlue isn’t trying to disrupt the coach cabin if it goes to Europe. JetBlue is about disrupting business class. And business class fares are very high, so there is a ton of room to do that. Sure, JetBlue will have a coach cabin, but the success of this venture will depend upon what happens in the front of the plane. I’d expect it would be flown with a bigger Mint cabin than exists today. Of course, I’ll have more to say about this when it’s concrete. Your reminder is helpful but since B6 hasn’t said what it will do with Europe, if it does anything at all, it is far from certain what the configuration of any aircraft will be. There are several pieces of publicly available information that provide important color to the discussion. First, widebody aircraft simply have lower CASMs than narrowbodies on transoceanic routes. The number of business class or higher seats on other carriers/alliances is more than enough for them to revenue manage low fare offerings. As much as some might want to believe otherwise, there are many discounted business class seats sold on legacy carrier flights right now – before B6 even announces a single market or files a single fare. Widebodies also have the ability to carry cargo; all of the transatlantic carriers in the markets B6 might enter carry cargo which, at the minimum is “gravy” on top of passenger revenues. There is also nothing that prevents any other carrier from adding narrowbody aircraft to whatever markets B6 might fly if they believe there is value in doing so. AA and DL both have 321NEOs on order. The seat configuration, like aircraft type, is not exclusive or can be copied. There are only so many seat manufacturers in the world and the design differences are just not unique to any airline. If B6 chooses a higher number of Mint type seats than their current domestic Mint aircraft, they will end up with a higher CASM than even what they have. Second, B6 has increased their average fares in the transcon markets with Mint but they do not carry the most amount of local revenue in any JFK transcon market and they also do not have the highest average fare. In fact, among AA, B6, and DL, the 3 carriers that serve JFK-LAX and SFO with all lie flat business class aircraft (plus first for AA), B6 has the lowest local market revenue and the lowest average fares. It is not a given that B6 has the lowest CASM either. Delta operates widebodies in both markets and has more seats/flight than either AA or B6 in either market. Plus millions of pounds of cargo revenue that neither AA or B6 carry. So, B6 is hoping (by speculation here) to get comparable profits (while it already trails Delta on a systemwide performance basis and is comparable to American) using a strategy that will increase its CASM relative to its competitors while very likely ending up with lower RASM? Finally, you have to ask why B6 feels a need to compete for the corporate contracts that they say other airlines – apparently DL – are getting and B6 can’t get. Are flights to a few cities in Europe going to equalize the situation given that DL will still have a much larger network and also plenty of legacy carrier amenities that corporate travelers use and some of which, such as lounges, that B6 says it does not want to pursue? Is the real issue that B6 had a position of strength in Boston and New York and that has eroded as legacy carriers – esp. DL and to a lesser extent AA – have managed to compete for business which they could not focus on in the post 9/11 world in which B6 rapidly grew? And then you have to address the issue that no government on either side of the Atlantic has ever stripped slots from carriers that were using them just because a new carrier wants to start service. It. Just. Hasn’t. Happened. And yet B6 is thinking it can ask for it and be taken seriously. Sure, we can all speculate and feed the social media frenzy about what B6 might do with Europe but there are some pretty basic principles and facts which have to be included if any discussion is going to have any substance. But thanks for starting the discussion on here. I am sure this post won’t be the first or last. There should be a lot more. Unless B6 runs a nearly all Mint configuration, even with x6 flights per day at 16 seats, that’s 96 Mint seats daily. That’s basically 1 BA 747 worth of lie flat or better capacity. Mint will probably pull some people from the legacy carriers, but it’s also likely to be the most price sensitive people who were 50/50 flying in coach on one of the existing carriers. thank you… and also not part of the corporate contracts that they say they need. If B6 is losing premium traffic because of Delta’s growth in Boston, then the addition of new flights with a higher than Delta CASM and lower than Delta RASM won’t fix the problem – and will likely only make it worse. And that’s why you don’t throw a tantrum when you aren’t in a position to even put tickets on sale before the other side, much less start the flights! I’m almost positive that the four LRH remedy slots (two to BOS, 1 each to MIA and DFW) from the BA/AA JV will end after this year*. There was a ten year term on the requirement. DL was using one of the BOS slots and the DFW slot (running a one-stop through ATL) while DL gave up the 2nd BOS slot and the MIA slot. US, before the merger with AA, was using the MIA slot as a one-stop via CLT. Therefore, while in theory there are slots available for which B6 could take, those remedy. slots aren’t really open until they were going to try and buy some TATL capable jets today. As others have stated, jetBlue should just buy slots at Heathrow if they want them that bad. But if they are going to do that then they should also get some wide body jets since its going to be hard to justify the value with a 321. We are also discounting their ability to get slots from TAP. TAP has six flights a day from LHR and while I am assuming they are the holder of those slots, it would seem they could cut down to 4 and up gage to 321s and keep capacity even. * There was also a JFK remedy slot that AA needed to lease out. I’d like to know what those running B6 are smoking! Do they really think they can compete in one of the most over-saturated international markets in the world – JFK-LON? AA, BA, DL, VS all have multiple widebody frequencies daily. Norwegian has service from JFK-LGW. Plus there is more service from EWR to LHR. Discount (LCCs) over the years have had brilliant ideas to go to London (or Europe)…People Express, Lake, Capitol, World, among other. All have failed! Jet Blue has essentially will be committing suicide.